Marvel Entertainment is giving Ms. Marvel — the teen hero inspired by Carol Danvers, aka the soon-to-be cinematic hero known as Captain Marvel — a promotion, with the announcement that she will soon star in a third ongoing comic book series, which will introduce her to the rest of the Marvel comic book universe. 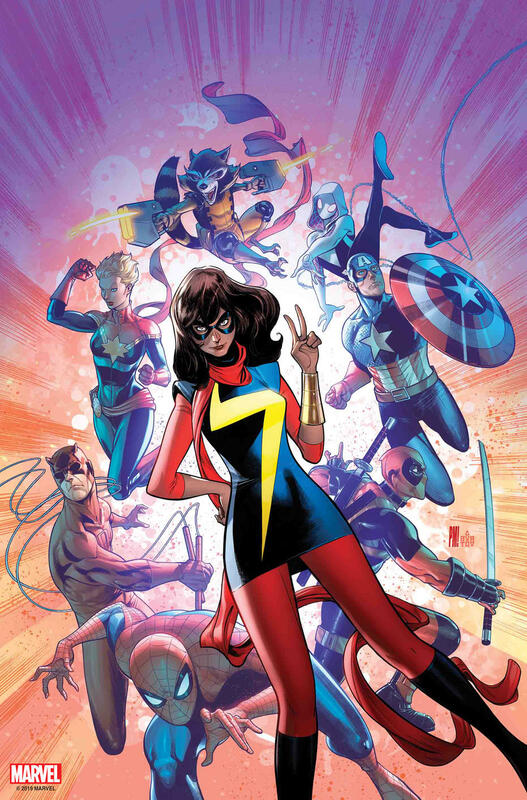 In addition to anchoring both the ongoing Ms. Marvel comic — to be relaunched as The Magnificent Ms. Marvel in March — and the Champions series, the character, whose secret identity is high school student Kamala Khan, will star in a new version of Marvel Team-Up, a superhero series originally launched in 1972. 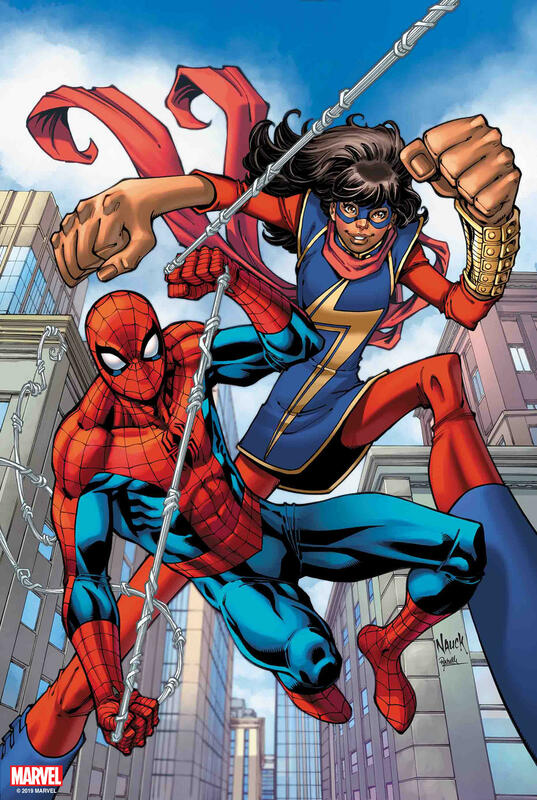 In a nod to the title’s original run — which focused on Spider-Man being joined by a rotating cast of superheroic peers to tackle that month’s supervillainy — the new series will launch with a three-issue storyline teaming Ms. Marvel with Spider-Man, written by Eve Ewing with art from Joey Vasquez. 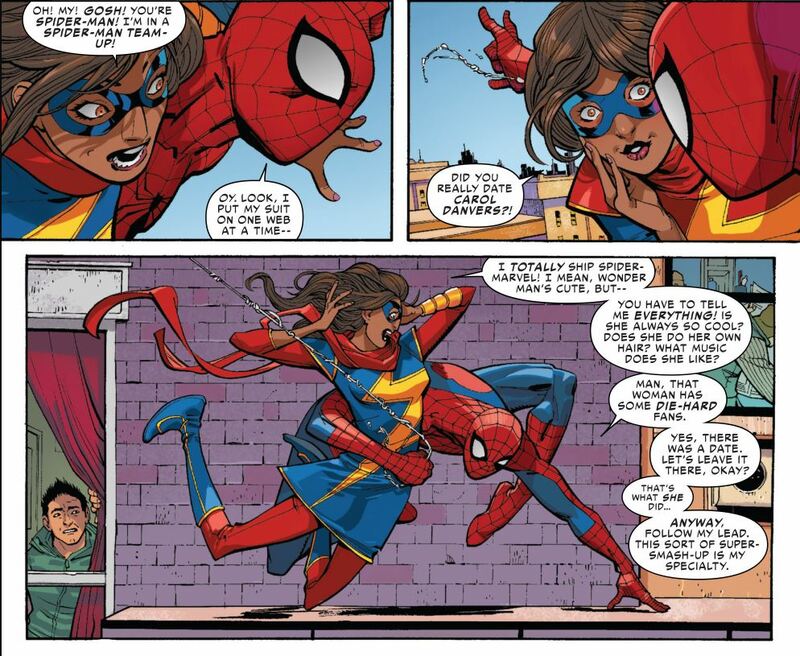 Subsequent storylines will pair Ms. Marvel with other heroes. Ah, how fascinating, that, similar to the 1972 debut where Spidey teamed with the Human Torch of the Fantastic Four, this is going for 3 issues too. They think they’re that clever, don’t they? But to use so obvious a choice for the guest star in the premiere issue only makes clear this is a deliberate move, and pondering the highlighted lines, it would seem as though the guest factor is actually the other way around: Khan is the main star, and Spidey is the guest star of the month? If that’s the way they’re going, it only compounds the propaganda hammering they’ve become practically hell-bent on, pushing an Islamic adherent on their universe and audience, no matter how lacking it is in real story merit, let alone sales figures. So it’s just another demonstration of Orwellian ignorance, and nothing to look forward to. I’d rather stick with the original 1972-85 series instead, which was a lot more fun. Editor: This book is written by comics newcomer, Eve Ewing.